Golmaal Again 7th Day (Thursday) and 1st Week Collection Early Trends. Rock Solid Again. Golmaal Again is rock solid on Thursday (7th day) at box office as first week is coming to an end. Early trends suggest, film is registering a drop of 10-15% from previous day. This is fantastic hold. Golmaal Again has opened to 20-25% occupancy in Morning shows today. Film picked up a bit in Noon to register occupancy of around 25-30%. Film showed further good jump in Evening shows and as per latest registering occupancy of around 40-45%. 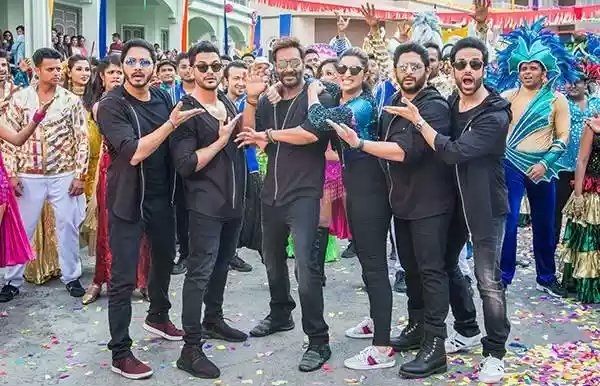 Though it is too early to make any prediction but early trend suggest, Golmaal Again 7th day collection is heading towards 8.5-9 crore nett mark. However, final count may vary as major reports from interiors are awaited. Also, Night shows report are awaited. Means, Golmaal Again first week business is heading towards 135-136 crore nett mark. Neeraj tumahre mooh main ghi sakkar. Has any comedy ever crossed 200? Hera pheri was 14th highest grosser of 2000. It collected 12 cr+ and box office verdict was Average. Todays value talking of hera pheri adjusted gross 73 crs. But its among the top 250 imdb movies of above 8/10 as rating which is simply fantastic!!! I personally loved hera pheri, from Paresh to Akki to Suniel...simply outstanding !! Its 1st week alone just scrubbed the whiskers out of your heros all time highest grosser lifetime. What distribition share you are talking about? 90% of 2017 movies could not attain 60 crs but Golmaal again distributor share alone is 65 crores!! Over to you...teach us more about GA!!! Ye apki view haI. Aap bhi desh k nagrik hai.Khair jo ho movie 200 crore k or March kar rahi hai.